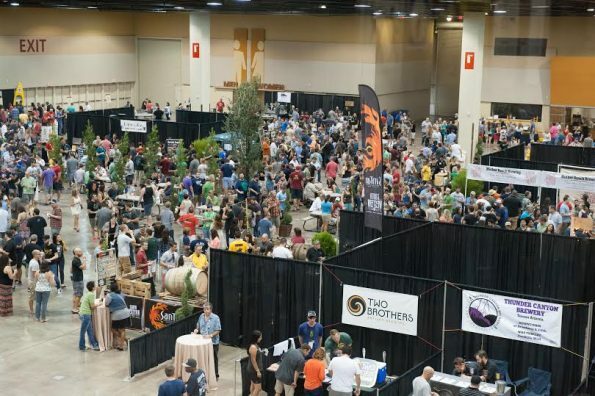 Reduce, reuse, recycle, – the three R’s of environmentally friendly initiatives, gets a new meaning this summer as the Arizona Craft Brewers Guild gears up for its annual Real, Wild and Woody Beer Festival. In collaboration with Moon Valley Nursery, the Guild will feature 40 stunning locally sourced trees in its indoor rustic festival décor this Saturday, July 23, 2016 at the Phoenix Convention Center. Following the festival, all 40 trees will be donated to the City of Phoenix as part of a replanting effort to improve local community parks. To achieve Phoenix’s ambitious goal of 25% tree canopy coverage by 2030, a significant and broad-based initiative will be necessary to get the job done. The partnership between our statewide craft brewer’s organization, a local nursery, and city parks and rec department to plant 40 trees where they’re needed is a positive and welcome step in the right direction,” said Jim McPherson, Evans Churchill Community Association board member who has advocated for tree replanting in and around downtown Phoenix. More details will be announced once the date and time are confirmed. For more information about the Arizona Craft Brewers Guild, visit chooseazbeer.com. Located at the Phoenix Convention Center, Real, Wild & Woody will feature 50 of the Southwest’s best craft brewers pouring specialty casks, rich and unique flavor combinations and other never-before-sipped brews from some of the industry’s best on Saturday, July 23, 2016. For more information and to purchase tickets to attend Real, Wild and Woody, visit realwildandwoody.com. The Arizona Craft Brewers Guild was established in 1998. It is recognized as a not-for-profit 501 (c)(6) organization. Members are comprised of registered Arizona breweries. Associate Memberships are granted to businesses and organizations that have some relationship to the brewing industry. For more information, visit choseazbrews.com.